I was doing a little reading on LHCF and was very intrigued by everyone doing tea and coffee rinses. Reading a little more and beginning what would become hours of research, I learned that the caffeine in tea and coffee is wonderful at promoting hair growth! This has been around for a minute so it may not be anything new to you but the fact that I have not read up on this at all appalls me! How could I have not known about this?? I knew about the benefits for the skin and I actually made a really nice facial moisturizer for my acne prone skin with green tea a little while ago. Here I was thinking that ladies were doing this for color or some other effect that didn't really interest me. Silly me... As you may know by now from reading my blog, I am a Growth Aid Junkie!! I think I just might start off doing coffee rinses on each wash day or filling up a spray bottle and spritzing my scalp every day or so. 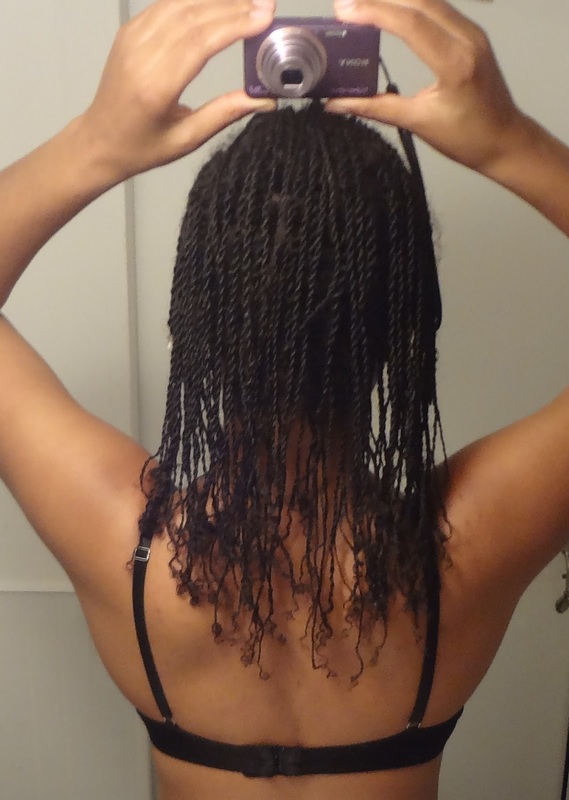 I am still in my 2 strand twists. They are a week old. I plan on taking them down in the next few days and doing a flat twist style. I have been cowashing my twists every day faithfully and they are looking well. Frizzy but well. I did a good trim off the ends of each twist to get rid of some of the unevenness and will most likely do another trim again very soon.